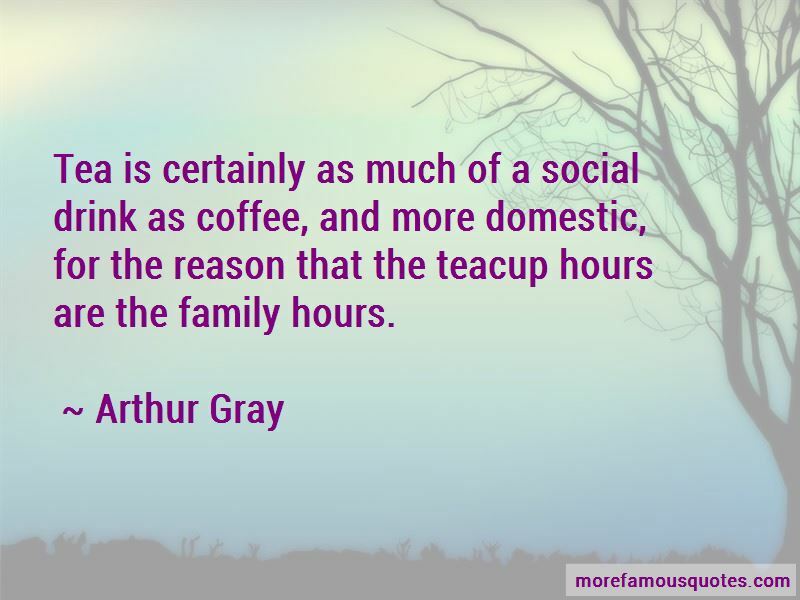 Enjoy the top 2 famous quotes, sayings and quotations by Arthur Gray. “Tea is certainly as much of a social drink as coffee, and more domestic, for the reason that the teacup hours are the family hours. 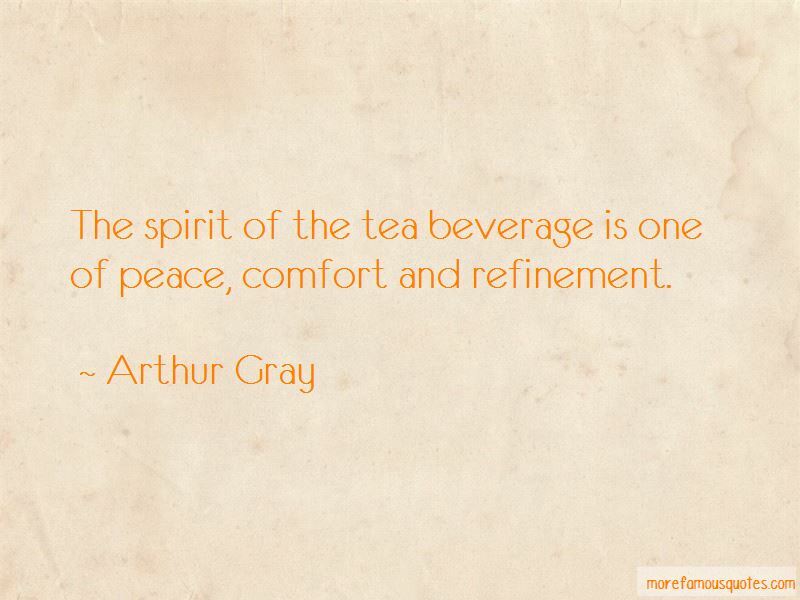 “The spirit of the tea beverage is one of peace, comfort and refinement. Want to see more pictures of Arthur Gray quotes? Click on image of Arthur Gray quotes to view full size. “Gradually, as Neros excesses grew more unbridled, Seneca fell increasingly out of favour. At length he was accused, justly or unjustly, of complicity” — Anonymous.